“Icons” (from the Greek word “εικών” which means “image”) were paintings or mosaics depicting the saints of Orthodox Church.Creator of Timeless, Bicycle Butterflies, Grotesque, Bicycle Venexiana, Venexiana Gold and Venexiana Dark decks decided to pay his attention to a different artistic style that flourished in Europe or influenced European Art. The deck inspired by the incredible splendor of the Byzantine Empire and its heritage. 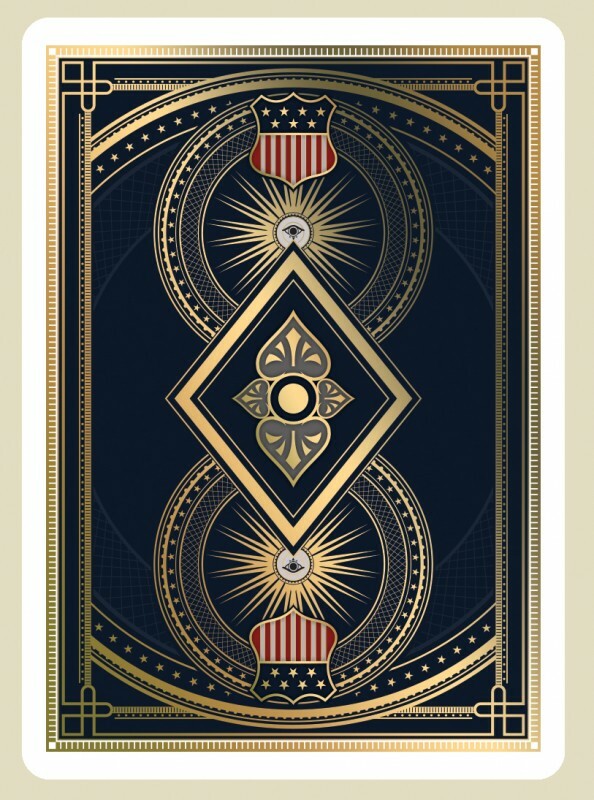 Traditional courts will remain their traditional shticks, but will be translated into the Byzantine art style.There will be three editions of these decks: The Secular Edition (Standard), The Sacred Edition (Limited) and The Imperial Edition (Luxurious). The first two editions will be separately launched later in 2015. The Imperial Edition will be launched on Kickstarter soon. 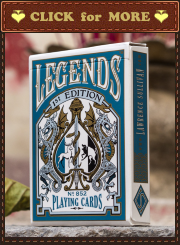 It will be the most luxurious among them… maybe among all modern playing cards printed on casino cardboard.The Imperial Edition tuck case won’t have cellophane, no sticker – only a sleeve from a luxurious material. Plus, this time Lotrek will offer a couple of display cards. The outside part of tuck case will be velvet. You will find hot stamped gold foil inside the tuck case. All card backs will have both Gold and Silver hot stamped foil on them. 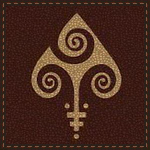 It will be the first deck ever with such features.Lotrek (The Halfmoon Playing Cards) promises to use the high quality embossed stock for his playing cards. He will produce them personally in Greece. In accordance with the statement on her site, Anne Stokes is going to release her third deck of art playing cards. This one will have a steampunk theme. Note, this time not all faces of all cards will have her artworks featured on them. Only court cards and aces will have artworks. Number cards will just have custom pips and indices. 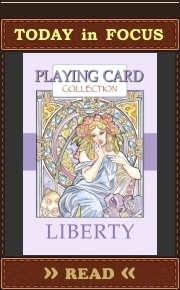 She traditionally orders her playing card from the United States Playing Card Company. So, there is a huge chance that USPCC again will print these playing cards. The creator of Civil Unrest Custom Playing Cards, Global Unrest Custom Playing Cards, Bicycle Colonial Unrest Playing Cards, Bicycle Titanic Playing Cards, is going to finish his design of new playing cards devoted to the Battle of Gettysburg and launch this new project on Kickstarter this year. This battle was fought July 1–3, 1863, in and around the town of Gettysburg, Pennsylvania, by Union and Confederate forces during the American Civil War. 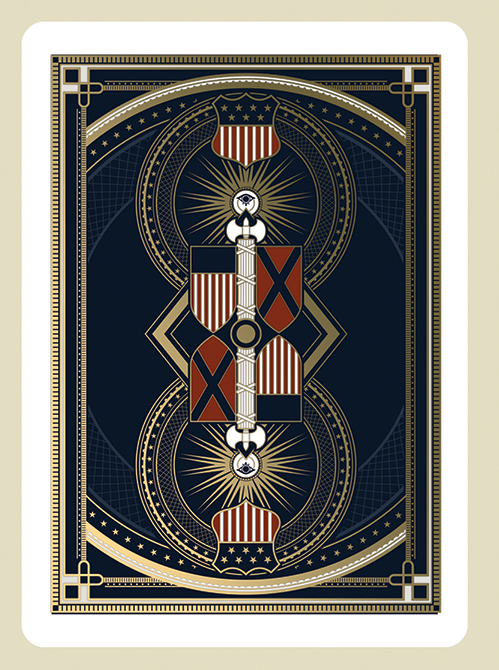 It is often described as the war’s turning point.RJ Tomlison wants to pay a tribute to the Battle of Gettysburg by producing appropriate deck of playing cards in best traditions of his previous decks. This time in colour. Some important people of that battle should be featured as court cards. He doesn’t know what company will print these playing cards. This is an undecided question. RJ is going to print this deck by himself. The project will be launched on Kickstarter. Tags: Anne Stokes, art, cartes à jouer, Emmanuel Jose, Lotrek, naipes, playing card collecting, playing cards, Semi-Transformation Playing Cards, steampunk, Stockholm17, the Byzantine Empire, The Tomlinson Playing Card Co.